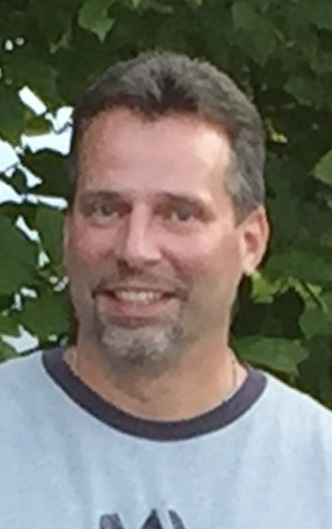 Obituary for Brian J. Smith | Lynch-Green Funeral Home, Inc.
Brian J. Smith, 46, of Danville, PA and formerly of St. Marys, died unexpectedly at his home on Wednesday, August 15, 2018. He was born on March 18, 1972, in St. Marys, a son of William and Kathryn Wortman Smith, who survive of St. Marys. Brian graduated from St. Marys Area High School and then served four years in the U.S. Air Force. After serving in the Air Force, he continued his education at Clarion University where he graduated with honors and earned a degree in Special Education. He had been employed at State Correctional Institute at Coal Township for many years as a special education teacher. He greatly enjoyed riding his motorcycle, but most of all enjoyed time spent with his family, especially his two sons. In addition to his parents, William and Kathryn Wortman Smith of St. Marys, he is survived by his wife, Tammy Ott Smith of Danville, and by two sons, Joe and Dane Smith at home. He is also survived by two brothers, Craig (Suzanne) Smith of Kersey and Kevin (Michelle) Smith of St. Marys, by two sisters, Colleen (Bill) Burton of Ypsilanti, Michigan and Kelly (Tim) Frost of Rochester, NY, as well as by numerous nieces, nephews, cousins, and friends. A Mass of Christian Burial for Brian J. Smith will be celebrated on Friday, August 31, 2018 at 12:00 PM at Queen of the World Church, 134 Queens Road, St. Marys, PA 15857 with Rev. Jeffery Noble, Pastor, as celebrant. Military Honors will be accorded by the St. Marys Servicemen's Burial Detail. Friends and family will be received at the Queen of the World Church from 11:15 AM until the time of the service.